WJSG Internet Radio: New Anti-Piracy Program Launches in U.S.
New Anti-Piracy Program Launches in U.S. If you are a U.S. resident who shares music illegally online, you may be in for a surprise very, very soon. As Billboard reports, this week, a new anti-piracy program begins cracking down on copyright infringement if you use internet service providers AT&T, Cablevision, Comcast, Time Warner, or Verizon. Artists, moviemakers and other owners of content join public peer-2-peer (P2P) networks to see if the music, movies, and TV shows they've made available are being shared without permission and in violation of U.S. copyright law. 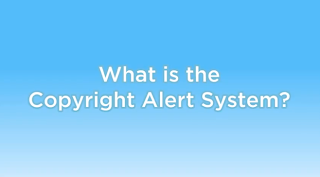 If they notice that a file is being shared illegally, they notify the appropriate Internet Service Provider (ISP) and that ISP, in turn, passes on that notice to their subscriber as a Copyright Alert. 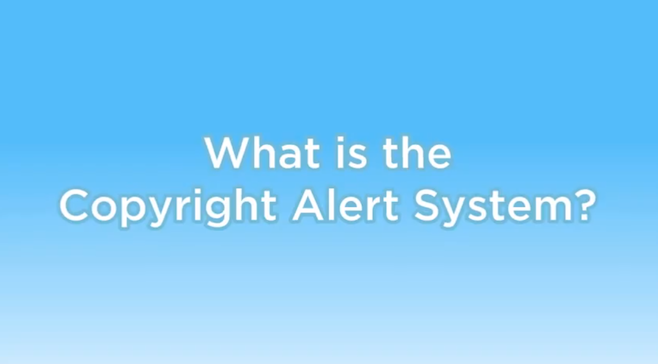 That first Copyright Alert "makes accountholders aware" that they're sharing content illegally, "educates accountholders on how they can prevent copyright infringement from happening again," and points you towards ways to "access digital content legally." Doesn't sound too bad. But with each accusation of piracy, the consequences increase. Your internet speed could decrease or you could be "redirected to a landing page for a set period of time" until you "contact the ISP or complete an online copyright education program." It all depends on your ISP. According to Billboard, you won't be at risk of losing your internet connection, though, or of being fined or facing criminal charges. As Mashable points out, the program "has been criticized as designed purely for corporate interests, at the expense of the average internet user," by such groups as the Electronic Frontier Foundation.